If the government shuts down, who’s to blame? The blame for any government shutdown should factually be laid at the feet of the Republicans. Factually. It is a fact that Republicans spent their money and effort during the break stirring up support to hold the budget and even the debt ceiling hostage to stop the implementation of the Affordable care Act. It is a fact that the Republican-controlled House of Representatives, led by Senators Ted Cruz and Mike Lee, passed a short-term continuing resolution to fund government at current levels while stripping funding away from the Affordable Care Act. It is a fact that Republicans, and Republicans alone have said over and over again that they are committed to destroying the Affordable Care Act and are willing to not only shut down the government, but hold the debt ceiling hostage in order to do such a thing. These are not theoretical. They are hard, cold, provable facts. How can it possibly be that over 50 percent of those polled would hold both sides responsible? 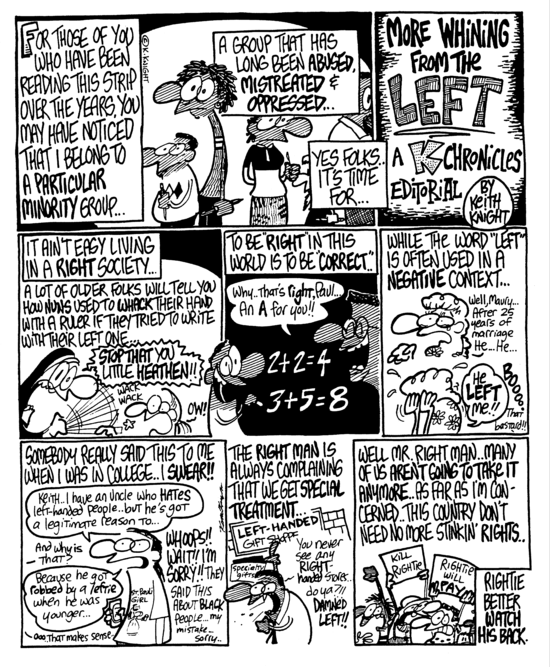 I’m a lefty. And my wife is a lefty. But our son is right handed. 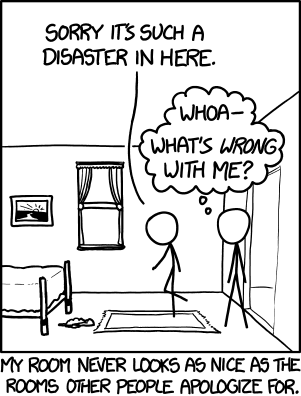 I think this cartoon is telling me I really should clean my apartment. Ted Cruz: I do not like him here or there. I do not like him anywhere! Sen. Ted Cruz (O-Canada) took over the Senate floor for 21 hours yesterday in a protest against Obamacare. If I can figure this out, he was filibustering the Senate to halt a vote on a House bill he promoted. OK. Let’s ignore the obvious. Ted Cruz harps on and on about how much he hates Obamacare, right? So he reads a story about a grouch who hates something he’s never tried. And when he tries it? Isn’t it ironic? Don’t cha think? I’m just waiting for Alanis Morissette to pop into the picture. But here’s what really pops my buttons. If you’re going to read a children’s classic, START FROM THE BEGINNING!!!!!!!!! What is his malfunction? No wonder his girls don’t want him to read it to them. He doesn’t do it right!! Which, in this case, is exactly what it was. 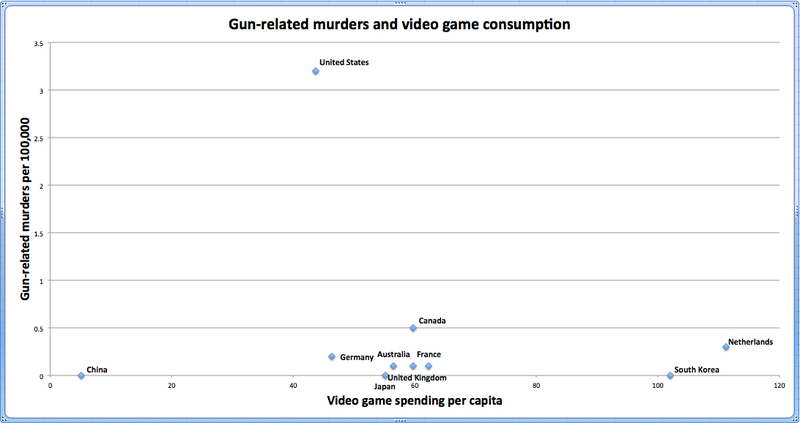 See?If videogames were the cause of people shooting up everyone in sight, The Netherlands, South Korea, Canada and France would blow the U.S. off the charts. But that’s not the case. The difference between us and them is we have lobbying groups dedicated to buying off elected officials so they can put a gun in the hand of every breathing blind person, child and psychopath in the country. 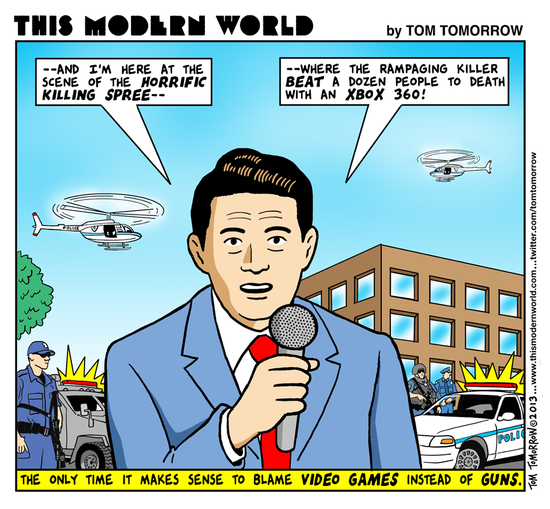 Videogames don’t kill people. Guns kill people.